In this article, I will talk about The pollinator garden. We will also discuss how can you make your garden much more pollinator-friendly so that Bees and other pollinator keep visiting your garden and thus improve efficiency in yielding crops. But before we start talking about pollinator gardens we first have to know about the pollination process. Pollination is a process of moving pollen from one flower to another flower of the same species. Pollination results in producing fertile seeds. It is a compulsory process for flowering plants. The pollinators are the agents who help in pollination. 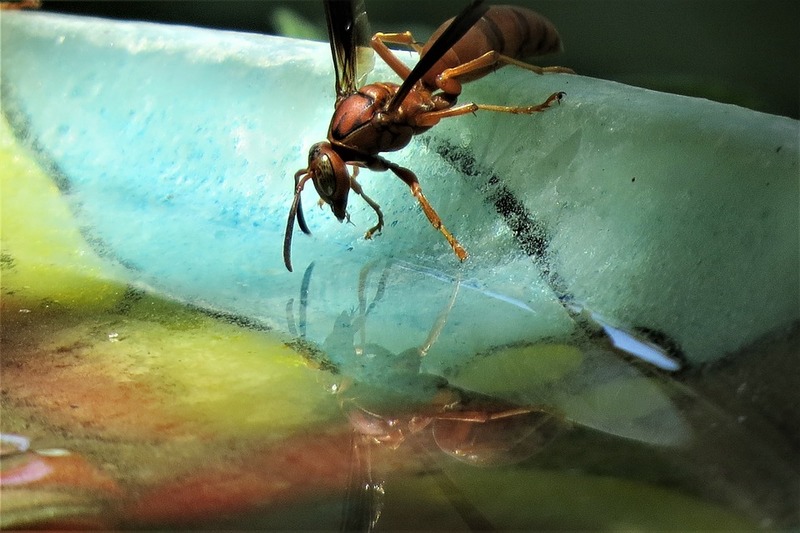 They can be inanimate like wind, water or can be living species like Bees, Butterflies, Wasp Moths, Beetles, smaller birds (like Hummingbird), Bats, Flies, and Ants. In North America, 99 percent of pollinators are insects and, of those, most are bees. Why Pollinators Need Our Help? A pollinator like a bee feeds on the pollen from flowering plants and in turn pollinate it to grow fruits. These fruits are not only consumed by humans but also by various species living on this planet. That is why pollinators like bees are vital to the ecosystem and there is hardly any alternative available to humans to pollinate such a wide range of flowering plants. Several species of bees and butterflies have lost their habitat due to excessive deforestation and use of pesticides. We can at least do a bit from our side to increase their population or it will hurt ourselves in the long run. Can We Really Do Anything To Help The Pollinators? 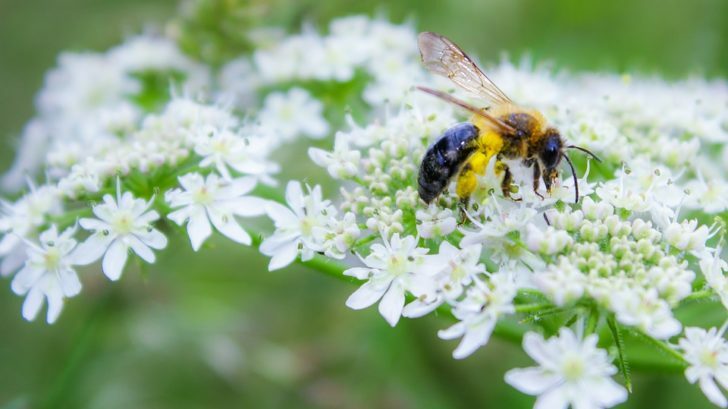 As gardeners, we can actually have a positive influence on pollinator populations and diversity if we all do our part and make our garden a more pollinator-friendly garden. And believe me, A pollinator-friendly garden is also a human-friendly garden. The work is not a tough one as you might be thinking. Just making some simple changes can drastically make your garden some of the most preferred locations for the pollinators. Now If you are worried about attracting something into your garden that can sting, just remember bees are not bullies by default. Plant native plants: Providing food to the pollinators is the heart of a pollinator-friendly garden. Research shows that pollinators are most comfortable with native plants and are 4 times more attractive to pollinators than non-natives. Most of the pollinators have a particular choice of plant for their feeding. A foreign plant might not provide the pollinator their required pollen. Plant different varieties of plants so you would get a diverse mix of pollinators. Bees prefer blue, yellow and purple colored flowers with sweet fragrances. Ensure your garden have enough native plants of these features; you don’t wanna miss “The most active pollinators”, do you? The first thing you need to do is to provide host plants for caterpillars. Otherwise, there will be no butterflies. The larvae can only feed on one or two specific host plants, particularly native trees, shrubs, and perennials, that are vital to their survival. Though mature butterflies normally feed on any nectar-rich flower; their preference is always platform shaped sunflowers. Keep them in your garden and you will never miss those beautiful creatures. Plants that are white in color and have strong sweet smell are most preferred by moths. There may be other types of pollinators in your locality. Study their habitat and behavior and try to match these in your garden. Pollinators need water for many purposes, like drinking and reproduction. Butterflies, love to, sip at shallow pools, mud puddles or even birdbaths. Make sure you have sufficient water for their needs. In case you don’t have a natural water source like a pond or stream you can make your own. This can a beautiful water fountain or a simple bird bath. If you are using small containers for this make sure to replace the water 2-3 times a week. Pollinators need space to build their nests. So the attract them one of the first things you can do is to give them their desired space. Pollinators such as bumblebees and many other solitary bees make their nest in open patches of bare soil. Other forms of bees, wasps, ants etc. prefer dead woods. Some even build nests on the stems and twigs. Plant some of the plants which are conducive for butterflies to lay eggs. You can also create bee nesting blocks by drilling quite a few holes (3-5 inches deep and 1⁄4 inches in dia) on untreated wood. Keep the wood on the side of a building or under the eaves of a garage or shed. Do not clean up your gardens in the fall, and wait until late spring. Pollinator most of the time needs protection for overwintering. Remove invasive plants and animals from your garden that are not native to your locality. Stop using pesticides all together you definitely don’t want to kill your visitors after inviting them to your garden. It takes time for plants to grow and bear flowers. Pollinators will eventually find your garden. It might take some time for them to locate your garden in case it is far from their nests. So have patience. Help others to create pollinator-friendly gardens: Share information about pollinator-friendly gardens. Help others around your locality to build such a garden. It will attract pollinators to their gardens as well as yours. Use this information and other valuable resources available on the internet to educate yourself and apply the knowledge in your garden.